The first trailers are here for the upcoming TV mini-series. 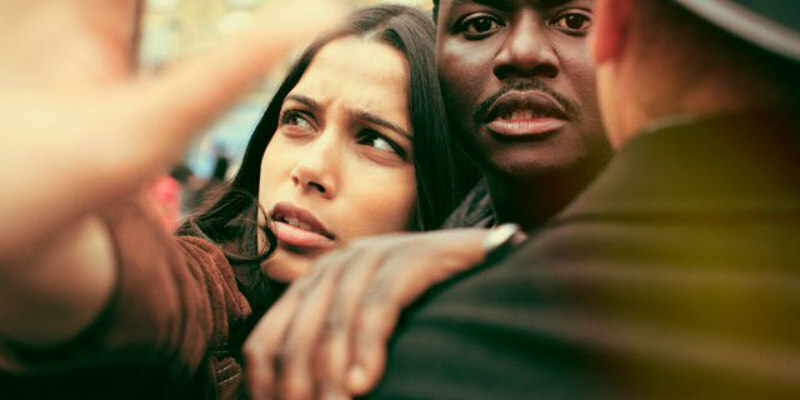 From screenwriter John Ridley (12 Years a Slave) comes this six-part mini-series that follows two lovers (Freida Pinto and Babou Ceesay) who become involved in the fight against Scotland Yard's attempts to suppress the Black Power movement of 1970s London. Guerilla premieres on Sky Atlantic in the UK on April 13th and Showtime in the US on April 16th. Both networks have released promos.